What can I do to help prevent child sexual abuse? 1. Volunteer your time. Get involved with other parents in your community. Help vulnerable children and their families. Start a playgroup. 2. Discipline your children thoughtfully. Never discipline your child when you are upset. Give yourself time to calm down. Remember that discipline is a way to teach your child. Use privileges to encourage good behavior and time-outs to help your child regain control. 3. Examine your behavior. Abuse is not just physical. Both words and actions can inflict deep, lasting wounds. Be a nurturing parent. Use your actions to show children and other adults that conflicts can be settled without hitting or yelling. 4. Educate yourself and others. 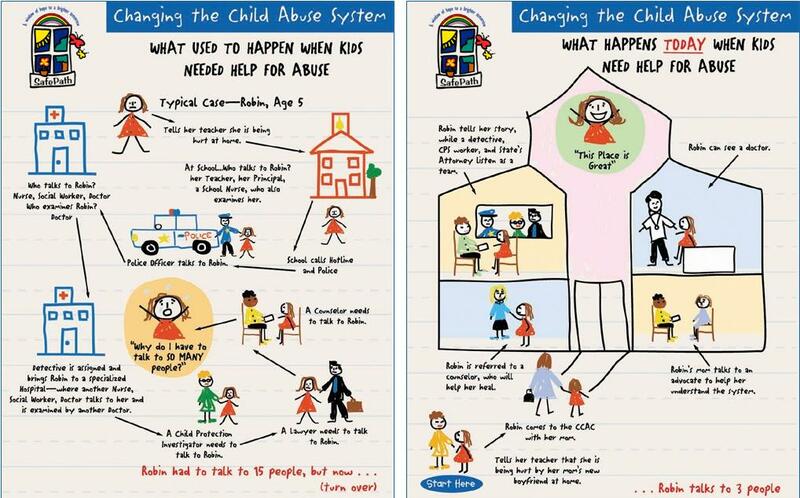 Simple support for children and parents can be the best way to prevent child abuse. After-school activities, parent education classes, mentoring programs, and respite care are some of the many ways to keep children safe from harm. Be a voice in support of these efforts in your community. 5. Teach children their rights. When children are taught they are special and have the right to be safe, they are less likely to think abuse is their fault, and more likely to report an offender. 6. Support prevention programs. Too often, intervention occurs only after abuse is reported. Greater investments are needed in programs that have been proven to stop the abuse before it occurs – such as family counseling and home visits by nurses who provide assistance for newborns and their parents. 7. Know what child abuse is. Physical and sexual abuse clearly constitute maltreatment, but so does neglect, or the failure of parents or other caregivers to provide a child with needed food, clothing, and care. Children can also be emotionally abused when they are rejected, berated, or continuously isolated. 8. Know the signs. Unexplained injuries aren’t the only signs of abuse. Depression, fear of a certain adult, difficulty trusting others or making friends, sudden changes in eating or sleeping patterns, inappropriate sexual behavior, poor hygiene, secrecy, and hostility are often signs of family problems and may indicate a child is being neglected or physically, sexually, or emotionally abused. 9. Report abuse. If you witness a child being harmed or see evidence of abuse, make a report to your state’s child protective services department or local police. When talking to a child about abuse, listen carefully, assure the child that he or she did the right thing by telling an adult, and affirm that he or she is not responsible for what happened. 10. Invest in kids. Encourage leaders in the community to be supportive of children and families. Ask employers to provide family-friendly work environments. Ask your local and national lawmakers to support legislation to better protect our children and to improve their lives. The Nurturing Parenting Programs are curriculum-based, educational programs that generally work with the entire family. The program is a family-centered trauma-informed initiative designed to build nurturing parenting skills. Families participate in weekly 2.5 hour sessions that meet from 8 – 26 weeks, depending on the curriculum. Circle of parents is a professionally facilitated, peer led, self-help support group for parents that meets weekly. This group offers parents the opportunity to explore parenting in a safe confidential environment. The group meets at the Rutland County Parent Child Center every Monday from 2:00 – 3:30 pm and Thursday from 10:00 – 11:30 am. Do NOT assume someone else will report abuse!